Gregory D. Smith has over 30 years experience and has received both state and national awards for his legal work. In 2001, Mr. Smith was selected to the Tennessee Bar Association. 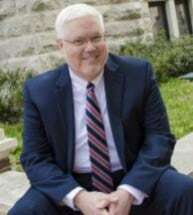 He has been listed in Who's Who In American Law regularly since the early 1990's and received the Lawyers.com Client Distinction Award in 2013. In 2015 and 2016, Mr. Smith was included in the Top 100 Tennessee Attorneys in Criminal Law. In 2015, Mr. Smith participated in the invitation only Alliance Defending Freedom International Appeals Masters Contest.